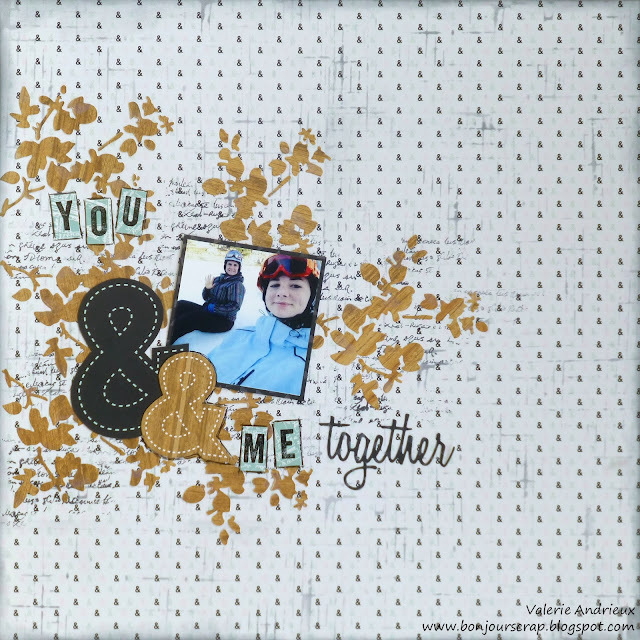 New challenge on the More Than Words blog means new layout for me ! I choose a picture of my daughter and me, sharing the same love of snowboarding and having fun together on the snow. 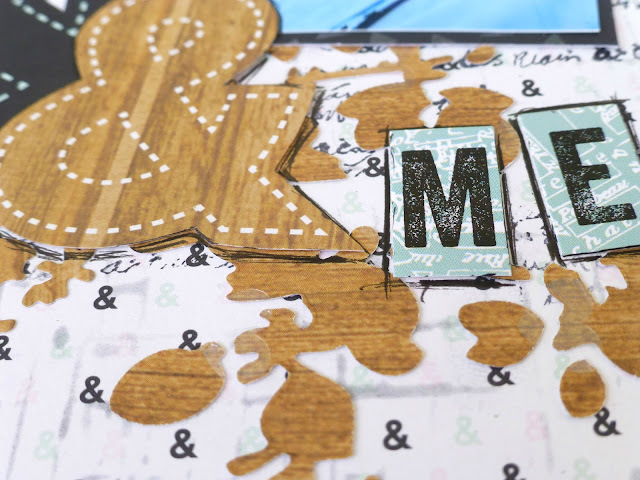 I used DCWV papers from the Minty lace stack (yes, I know, I already used it few days ago...), Sizzix Alterations die for the branches and the word "together", script stamp by Prima Marketing, TCW stencil with black distress ink (Ranger), and alphas stickers by Echo Park. Oh I love this! 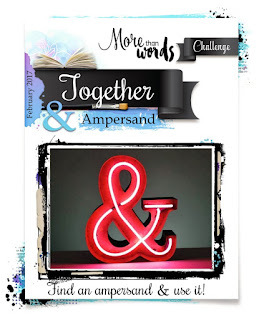 Those oversized ampersands are perfect and what a fabulous memory! Thanks for joining in at More Than Words this month. Thank you Heather ! Did you notice I put a mother and a daughter ampersands ? lol ! Thank you for noticing that ! Oh, what a wonderful page and background!! I love it! Thank you for playing along with us at More Than Words! Wow wow wow, love what you have done here. Thanks so much for playing along with us at More Than Words. Very kind of you Di ! This layout is gorgeous! 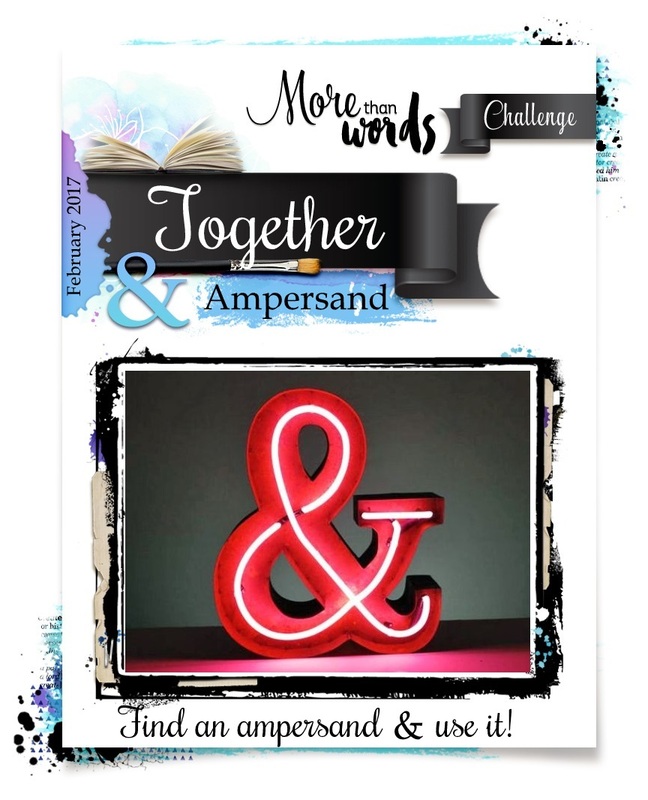 I love how you represented together with the 2 ampersands ;) Thank you for joining at More than words! Beautiful layout! I really like this one!! Thank you for joining us at More Than Words! Glad you like it Kareen ! Looks like everyone at MTW stop by ! Thank you !